MVP Award-winning Software Architect. A change-maker. This is yet another simple test of a new hardware component that I haven’t played with before. Buzzer is an audio device which may be mechanical, electromechanical, or piezoelectric. It can generate from quite awful UPS-like siren to melodious tone; it really depends on how you want to use it. I just wanted to make noise like that of a UPS does when electricity goes off. The rest of the post can be found here. 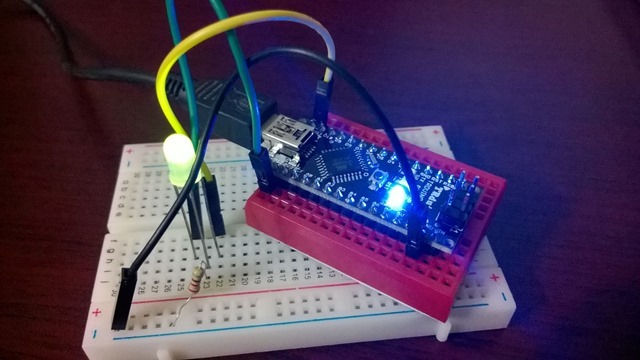 This entry was posted in Internet of Things and tagged Arduino Nano, Buzzer on November 9, 2014 by Tanzim Saqib. 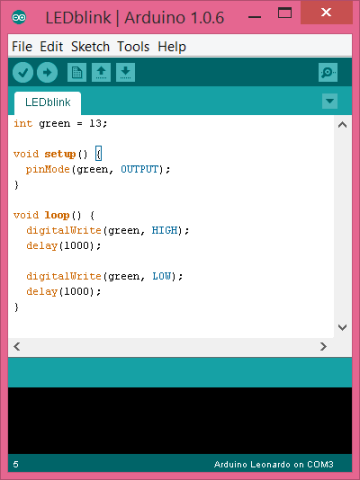 This entry was posted in Internet of Things and tagged Arduino Nano, BiPolar LED on November 8, 2014 by Tanzim Saqib. Apparently the post title here is the universal Hello World for physical computing. I am a newbie and had no prior knowledge in electronics. I will try to write a few posts which will serve as a work log for me so that I can revert to these when needed/forgotten due to focusing on other priorities of life over time. 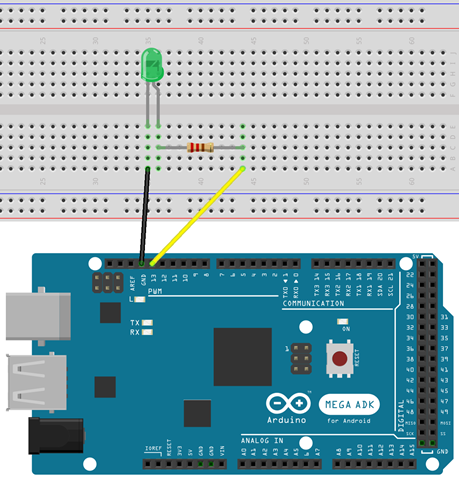 I’m using a Seeeduino ADK (a Arduino Mega 2560 variant) for this post. I have simply plugged it to the computer via Micro-USB cable. 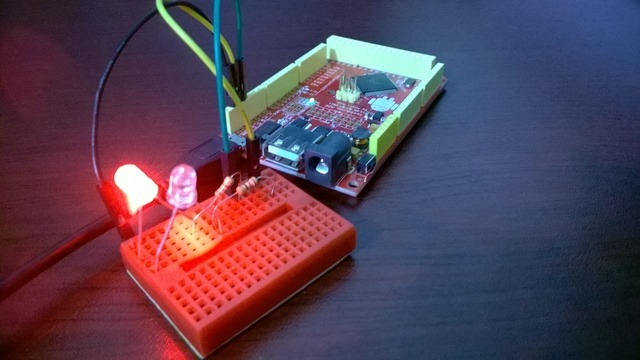 I have also used a breadboard and connected a LED and a 220 ohm resistor between ground and pin 15. 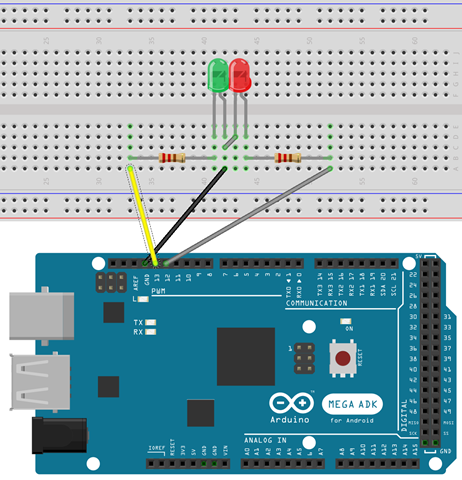 The register here prevents the LED from taking a damage due to 5V on which Arduino runs on. You will notice that without doing anything the LED blinks randomly along with another LED which is in-built. I’ve pressed Control + U, then it took a few seconds to upload to the processor, and voila! The program that I have written is now successfully making the LED blink every accurate second. 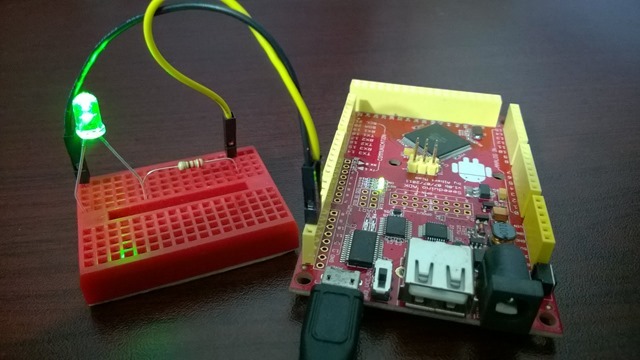 This entry was posted in Internet of Things and tagged Arduino Mega 2560, led, Seeeduino ADK on November 5, 2014 by Tanzim Saqib.